If you've been looking through by new blog, you know I love working for/with Pratap sir. I hope the feeling is mutual. He is someone who takes art seriously, and understands that artists need their space. In every project, he has given me my freedom to perform by best. He has entrusted me with his beautiful spaces and I am forever grateful for that. His wife, as I found out during this portrait session, is equally lovely and talented. So, when Pratap sir asked me to shoot some portraits for him, I jumped at the chance! 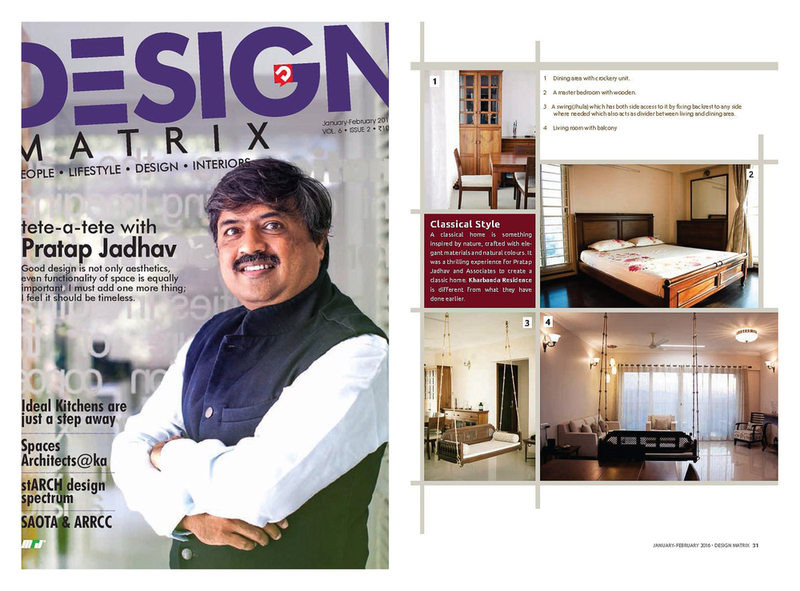 In this month's issue of Design Matrix Magazine, he was featured for the Cover Story, and rightly so! Here are some of my favorites from the session. Some of the interiors that I've shot for PJA have also been featured! It's all very exciting! The issue is available on news stands, but you can read more of the article here. Also, you can see a lot of Pratap Jadhav & Associates' work here.